It was in 2010 that Thrush Aircraft introduced a new engine mount design for the 510 series Thrush, specifically the then newly certified H80 GE turboprop engine. The extension was approximately 18 inches forward of the hopper, creating a mini-storage area and eliminating the lead-shot ballast ring. Not only did this improve flight characteristics by moving the CG, but removed nearly 300 pounds of “dead” weight. However, the first version of this 510 Thrush with the extended motor mount and the GE engine did not provide the expected performance, most likely because the same Hartzell prop (except for shot peening of the blades) was used that was certified on the 510P Thrush with its PT6A-34AG engine. After a few evaluation flights (see AAU January 2011) and back to the drawing boards at Thrush, a four-blade Hartzell propeller was mounted to the H80 and the world of 510 Thrushes changed. The incorporation of the four-blade prop and extended motor mount turned the 510G Thrush into a different animal, with vastly improved flight characteristics. Of course, with more than 50 SHP at 106°F when compared to the PT6A-34AG, takeoff, and load carrying ability improved as well for the H80. Since that time, two aftermarket vendors, Turbines, Inc. and Cascade Aircraft Conversions, as well as aircraft manufacturer Air Tractor, Inc. have introduced their own version of the extended motor mount, 4-blade propeller combination combined with a range of horsepower from 750 SHP up to 867 SHP. Realizing this combination of improvements vastly improved the performance of the 510 Thrush, Doran Rogers of Cascade Aircraft Conversions developed a 14-inch extended engine mount and removed the lead shot ballast ring, but instead of a four-blade propeller, installed an experimental three-blade 108” Avia prop (from the Czech Republic). 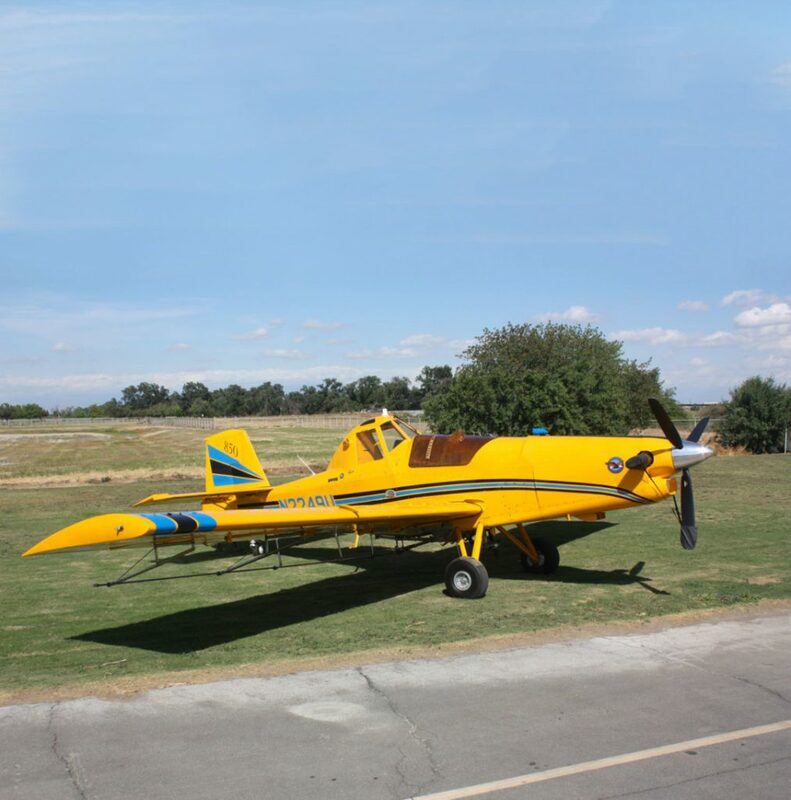 The Ultra Thrush is licensed with a 106” Avia propeller. JAS has applied for a four-blade Hartzell propeller STC. The aircraft I was privileged to fly in Tulare, California earlier this year has the experimental 108” Avia propeller. Johnston Aircraft Service (JAS), owned and operated by Joy and Dave Johnston, has been in the ag-aviation business for over 70 years, formed by Dave’s father, Elmer Johnston. The company has been a leader with innovative improvements to the Pawnee Brave with a leading edge cuff conversion and the 400 HP Super Brave conversion. Also, JAS holds numerous STCs for the Thrush improving its performance and comfort. In 2015, JAS received a 1974 model S2R Thrush into its inventory. From that point on, the aircraft underwent a complete “rebirth” into a 2016 model Thrush with the Cascade extended engine mount and inlet, 108” Avia prop and a robust PT6A-41 engine. Of course, it does not hold a 2016 year model Type Certificate, but every conceivable inspection, update and modification has been made to the aircraft. JAS’s shop disassembled the aircraft and built it up as new. This included extensive ultra sound checking of the fuselage and making improvements to it as needed, including sealing axle ends to prevent corrosion from entering, often a problem for older Thrush aircraft. The improvements made to this aircraft are listed in the sidebar of this article. The most important improvements are the installation of the Cascade extended engine mount and inlet, removal of the lead shot ballast ring and the installation of a PT6A-41 engine with the 108” Avia propeller. The fabric tail already had been replaced with a Thrush factory metal tail.